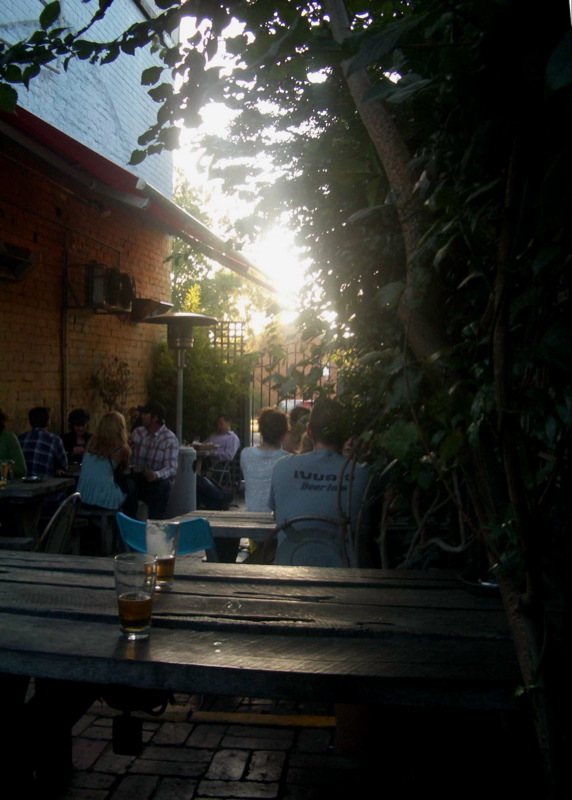 A few Mondays ago, Best-Friend-K and I were wandering along Brunswick Street wondering what to do for dinner. We were thinking of Ladro (I want to try their amazing stuffed olives again), but it and most of the Brunswick St restaurants we were interested in were closed! On a whim, we decided that a bit of pub grub down at the Napier could be just what the doctor ordered. 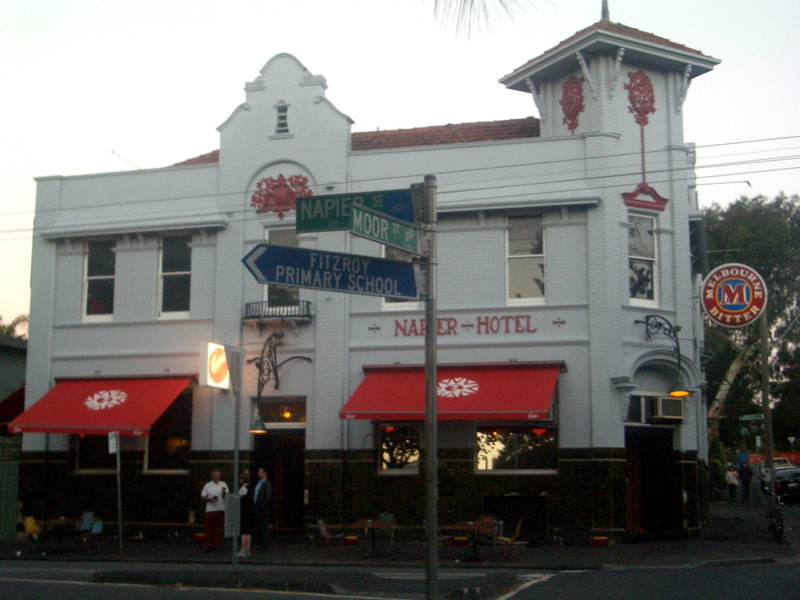 I first visited the Napier over ten years ago with my first boyfriend. I remember loving the front room all kitted out with Lions memorabilia (as a kid I'd barracked for the Lions, but I abandoned them once they went to Brisbane because I couldn't bear the thought of supporting a non-Victorian team), and it was at the Nape that I drank my first pint of Guinness! It was nice to go back for the first time in years and see that not much has changed. I had the "Ulu-Roo" - grilled roo fillets with Bearnaise sauce served with fries and salad ($19) - hadn't had roo in a while, so ordered it when I saw it was on the menu. The sauce was unexciting but the meat was tender and the fries were very good. 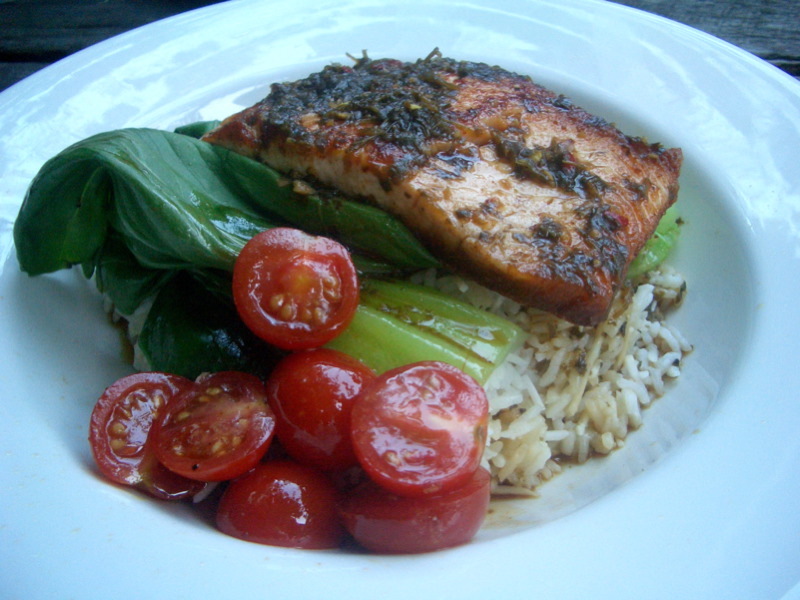 K had the fish special (also $19). I'm afraid I can't remember what it was (soy, chilli and lemon were in the marinade, methinks), but the photo gives you a pretty good idea of the dish. K liked it. 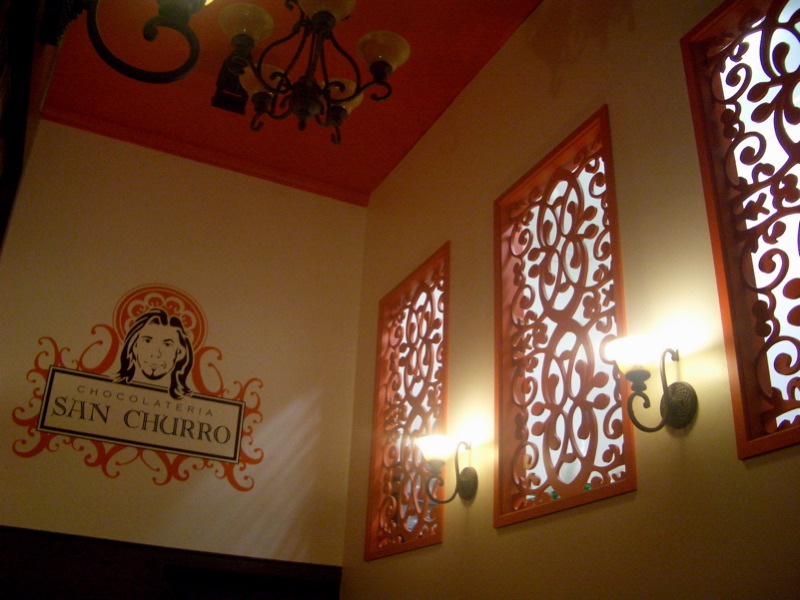 We walked back to Brunswick Street and K suggested we stop off for dessert at San Churro. I hadn't been there before, but remembered Michael from Where's the Beef having blogged about it. Claire, you've captured some lovely light in your first and last photos! 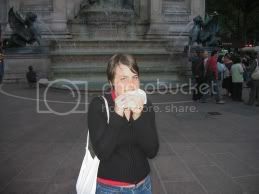 Glad your San Churro experience was so enjoyable. I think the dipping sauces are excellent, though their hot chocolates are just too thick for me. I have recently heard that another one will be opening next to Koko Black on Lygon St. Bring on the CHOC WARS! San Churro vs Koko Black? That'll be a massacre not a war Cindy :P If you have to guess who's going to win I am greatly saddened that a franchise wins over professional chocolatiers. Talking about choc wars, Arno Backes (former head chocolatier Koko Black) will be opening a new store in South Yarra at the end of the month. 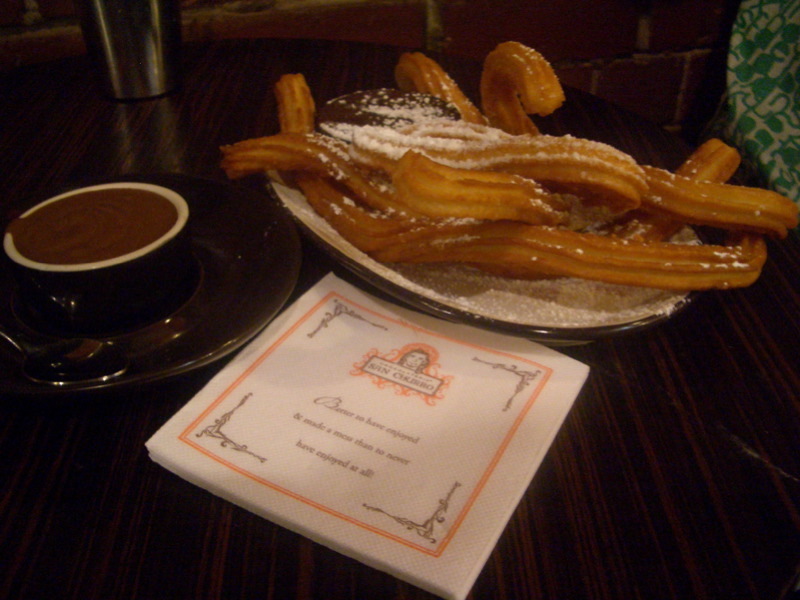 And for anyone after a dream job - San Churro is hiring (www.seek.com.au) and so is Cacao in St Kilda. I must say that I'm not a fan of their food though. 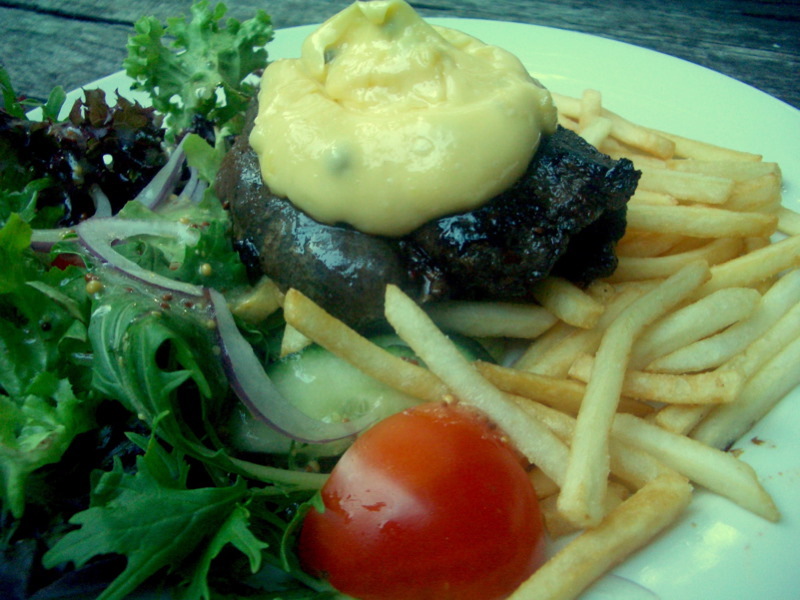 I have had the roo before and IMO, kangaroo with bearnaise is totally wrong!